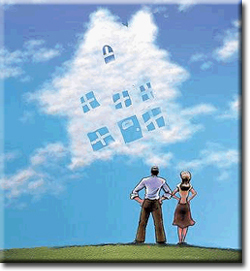 Your Home Buying Information Page! Buy Your Dream Home in Denver! One of my specialties is representing the best interests of Denver Metro areas throughout the home buying process. My comprehensive, high-quality services can save you time and money, as well as make the experience more enjoyable and less stressful. Time is so important for my clients that my group uses contract software to allow you to sign any of our contracts right on your computer anywhere you have an internet connection available. So if you are in Aurora, Arvada, Vail or even over-seas and need to get a contract signed, I have a system to make your life simpler. As a Realtor® with over 35 years of experience, I specialize in all areas of Denver and the Front Range including: Arvada, Aurora, Broomfield, Wheat Ridge, Littleton, Lakewood, Denver, Castle Rock, Castle Pines, Parker, Centennial, Golden, Evergreen, Greenwood Village, Westminster, Highlands Ranch and Lone Tree! I am working with New Construction Builders, Buyers, Sellers and Investors. Call me if you are looking into building your dream home!